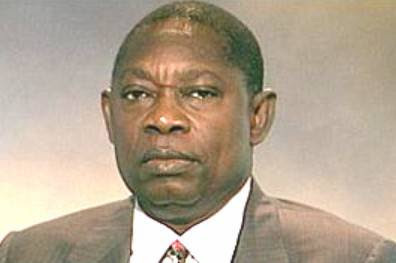 Government of Ondo, Osun, Ogun States have declared Monday as a work- free day in honour of the winner of the June 12, presidential election, the late Chief Moshood Kashimawo Olawale Abiola.. In a statement by his Chief Press Secretary, Segun Ajiboye, Governor Rotimi Akeredolu said the late Abiola’s supreme sacrifice culminated in the hurried departure of the military from the political scene in 1999. As part of the programmes lined up to celebrate the day, the government is organizing a lecture, with the theme: “June 12: A celebration of courage and resilience’. The event will hold at the International Events and Culture Centre (The Dome) in Akure. The Oyo State government has also declared the day as a public holiday. A statement signed by the Secretary to the State Government, Mr. Olalekan Alli, said that Governor Abiola Ajimobi approved Monday as work-free day to commemorate the annulment of the anniversary of the June 12, 1993 elections, which was generally believed to have been won by late Chief MKO Abiola. The government said the anniversary was also in recognition and honour of the martyrdom of Chief Abiola, who laid down his life for Nigerians to enjoy the democratic dividends of today. Also, the government of Osun has declared Monday a public holiday to mark June 12 celebration in the state. A statement issued on Friday, by the Director, Bureau of Communication and Strategy, Office of the Governor, Mr. Semiu Okanlawon, announced the holiday. The statement said: “In line with its established policy of observing June 12 of every year as Democracy Day, the State Government of Osun has declared Monday, June 12 as public holiday. The Ogun State government also declared the day as work-free. The statement added: ‘’This year’s celebration will feature the annual “Democracy Walk”, which will be led by the governor, starting from the JUNE 12 Cultural Centre, Kuto, Abeokuta at 7 in the morning. The walk is expected to take participants through major roads in the state capital to the Abiola family homestead, at Oke-Ido, Gbagura, Abeokuta North Local Government Area, where special prayers and speeches will be made. Later in the day, an inspirational stage play, “Oju Kelekun” (farewell to reproach), directed by Prof. Bakare Ojo Rasaki, will be performed at the June 12 Cultural Centre, between 3:45 and 6:00pm.